He also outlined the massive prospects for Zimbabwe set to be unlocked via Zimbabwe’s “open for business” approach. This year’s engagements built on President Mnangagwa’s appearance at Davos last year. And the grand hotel could be one of the early fruits to pick from the engagements. “We are working on the preliminary aspects for such investment, ahead of detailed feasibility, leading to the more technical aspects of investment of such magnitude and paperwork. Although the deal is still in the initial stages, the investor shows much capacity and interest. My estimation is that the family offices at the Zurich Forum represented over $20 billion worth,” said Mr Manikai. “Last year President Mnangagwa wowed the World Economic Forum, and left an indelible mark on the event, on the International Monetary Fund. “This year the meeting was more business oriented and the Minister of Finance and Economic Development Professor Mthuli Ncube was the leader of team Zimbabwe and supported by a strong business team comprised of Messrs Herbert Nkala, Gift Simwaka Edwin Manikai, Glynn Cohen and Credit Suisse Derivatives managing director, Ross Mtangi. 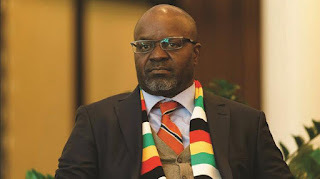 Ms Natalie Jabangwe and Mr Tatenda Mutizwa, Mr Temba Mliswa, Mr Chido Munyati and McKenzie Institute president, Mr James Manyika, who gave valuable insights into the agenda,” he said. “Most successful economies have adopted this model and structure to harness some of the talent and resources not tapped through the public sector. The PAC enhances the interface between Government and the private sector, the engine room for economic growth and well-being. “The economic theme of the Second Republic can only succeed based on a partnership between Government and business, and this platform is an obvious springboard,” he said. Mr Manikai said there was need for transparency when conducting business. “All transactions of whatever nature and size, must go through the basic verification processes and transaction flow. We should know that investors are looking for a return, and learn to leave value for everyone on the table and in a legitimate way. “We should reduce the cost of doing business and cut out corruption. Corruption, currency and certainty are the evils undoing business in Africa. The PAC will assist us verify big deals, and to ensure that there is integrity in all deals Zimbabwe,” he said.